From Oceanfront to Waterway to Golf Course and more. Everything you need to know about condo sales and condo rentals in Myrtle Beach, SC. The sixty mile stretch of South Carolina coastline known as the Grand Strand is one of the nation's top vacation destinations, with North Myrtle Beach and Myrtle Beach running neck to neck as the favorite for families and retirees to live and play. Whether the real estate market is hot or cool, there are always buyers and sellers looking for Myrtle Beach oceanfront condos and beach homes. Buying? Try our Personal Condominium Listing Locator! 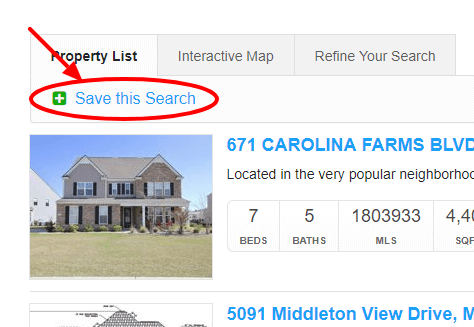 You've just found the site that offers the best MLS search condos in Myrtle Beach that any of the local beach real estate websites offer. But we've gone one step further - check out our PERSONAL CONDO LOCATOR! Then click SAVE THIS SEARCH and sign up to receive daily emails as the condos are placed on the market! From Renting to Selling and Everything In-Between! 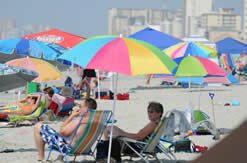 Our condo management company offers the best rental deals on most of the resorts in Myrtle and North Myrtle Beach. Check out the great prices and be sure to visit our rental websites - or book online as you locate your favorite condo from this one! If you are relocating to our area, or just want a second vacation home or oceanfront condominium, you'll find what you need to know here. We will show you the most important resorts and best places to live all along the strand. From a tranquil golf course condo to the finest luxury oceanfront condo-hotel, you'll make this your one stop shop for Myrtle Beach Condos, North Myrtle Beach resorts, and property from Little River to Pawleys Island. Of course, don't forget to check out both Myrtle Beach homes for sale as well if you want to relocate to the area. More info about the Grand Strand! We'd like to invite you to check out the Myrtle Beach Forum for a huge directory on local knowledge. Of course, don't forget to insure your condo purchase, a good start would be to check out Allstate Myrtle Beach. If you aren't sure about your move to Myrtle Beach, we also recommend these realtors in other areas in the US such as Greenville SC Real Estate, The Woodlands Texas or Albuquerque Homes for Sale. Of course, we'd love to welcome you to the Grand Stand, so be sure and look for condos on our Myrtle Beach Real Estate site as well. Bringing the little ones, we've got Myrtle Beach Kids Attractions. Last but not least, you really should play a round of Myrtle Beach golf while you are here. Listing courtesy of Ocean Front Guru Real Estate , Christina Desjardins.